View the trails and lifts at Iso - Syöte with our interactive trail map of the ski resort. 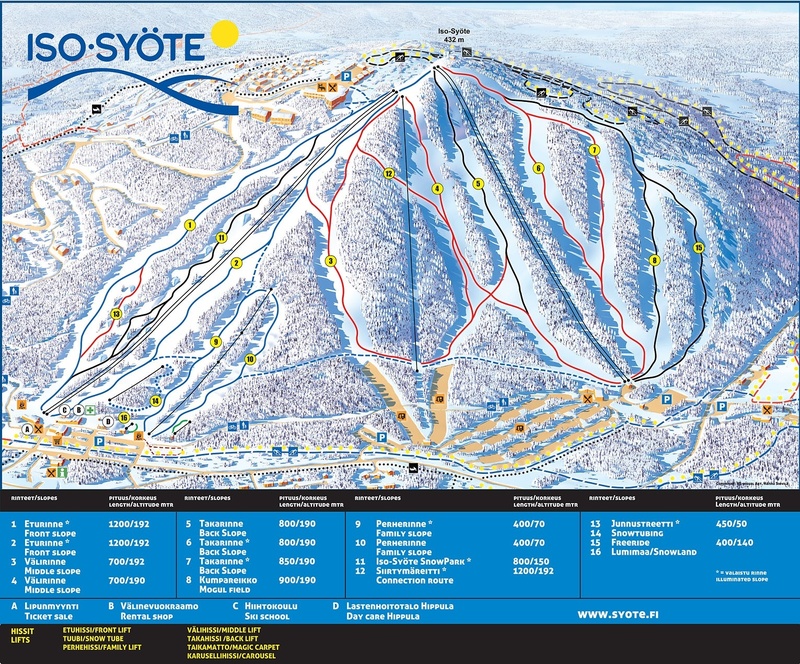 Plan out your day before heading to Iso - Syöte or navigate the mountain while you're at the resort with the latest Iso - Syöte trail maps. Select resorts also feature an additional trail map from partner, FatMap that provides a 3D view of the ski resort, including slope steepness and aspect, along with information on what it's like to ski each of the trails at Iso - Syöte. Rain on 25th made conditions heavy. Approx 5cm new snow today (28th). 3 slopes closed as earlier in week. No new snow and rain overnight has left conditions heavy. Still plenty of snow. 1 blue, 1 red and one black run closed. Couple of black runs open today. One main t-bar still closed. All other slopes open. Great conditions and still not busy at all. More new snow today. Very quiet on slopes. A couple of black runs closed today. Get Snow Reports, Powder Alerts & Powder Forecasts from Iso - Syöte straight to your inbox!